Reader Emilie lives in San Francisco and is a 1st-2nd grade teacher who is starting a new job at a private school, where jeans are not allowed. 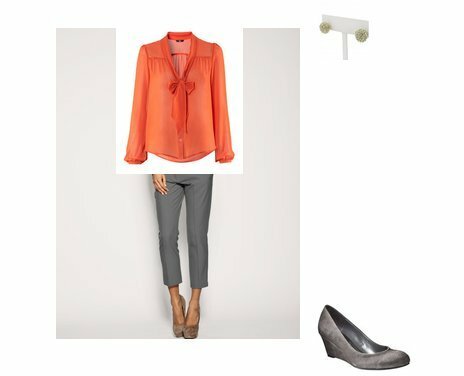 She wants reasonably priced outfits that are professional but not boring, and is also looking for maybe a low wedge or heel to pair with her longer pants. She loves Express, H&M, and Forever 21 and also admires Rachel Bilson's style. 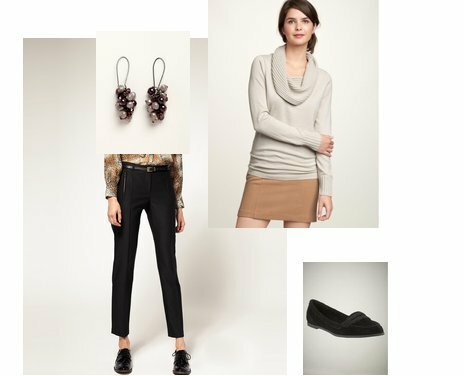 Here are some of the outfits I put together for her, click on any image for more information unless otherwise noted. Click HERE for the earrings and the shirt is from H&M, so not available online (unfortunately). Click HERE for information on the shirt, and check an H&M near you! I love all of these looks, but especially the first one. 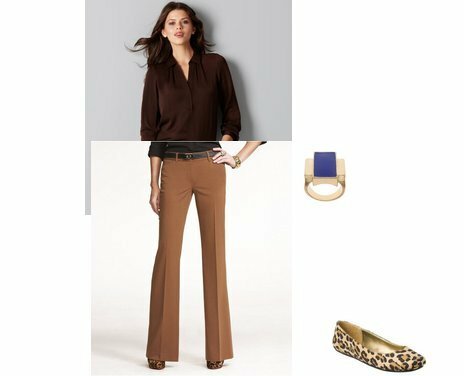 I've been thinking about getting leopard flats, but I was trying to figure out how to make them work for school. Thanks! East Coast Mama - Thank you!